On Sunday I had such an awesome day that I wanted to share it with you all. I was asked to record a visit of a VIP touring some company facilities in the North West of Western Australia and of course I jumped at the chance, it was a change from doing landscapes and I absolutely love helicopters (I had always wanted to be a helicopter pilot) and don’t need to be asked twice to hop into one espcecially when its a Kawasaki BK117, they would have to be one of the best helicopters around. At least they are my favourite. The morning started at 0400 for me as I had to be at the airport by 0530 in the morning. I was fortunate enough to be invited into the Qantas Chairman’s Lounge where we all had a quick bite to eat and some coffee to kick start the day. We took off from Perth at 0630 and arrived in Karratha at 0830, early morning Karratha was warmer than Perth in the middle of the day at the moment!!! 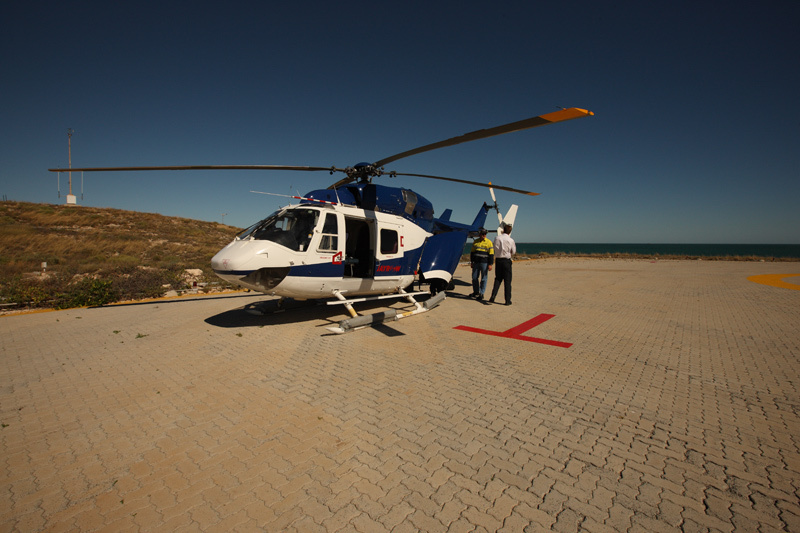 After a quick helicopter briefing we hopped into the Kawasaki BK117 and took off, once in the air we did a number of circuits around Karratha and Dampier where I managed to get some aerial photographs. If you look closely you can see two mini drilling rigs just sitting there. We then headed off to some offshore installations and the VIP got a tour of the facilities. We then headed back inland, which took 30mins of flying time across the water and coast, the best thing about a pilot’s job is the view from their office! We reached our location and landed in the middle of a paddock and then did an inspection of another facility. At this stage it was time to say goodbye to the BK117 as the rest of the trip was via road. 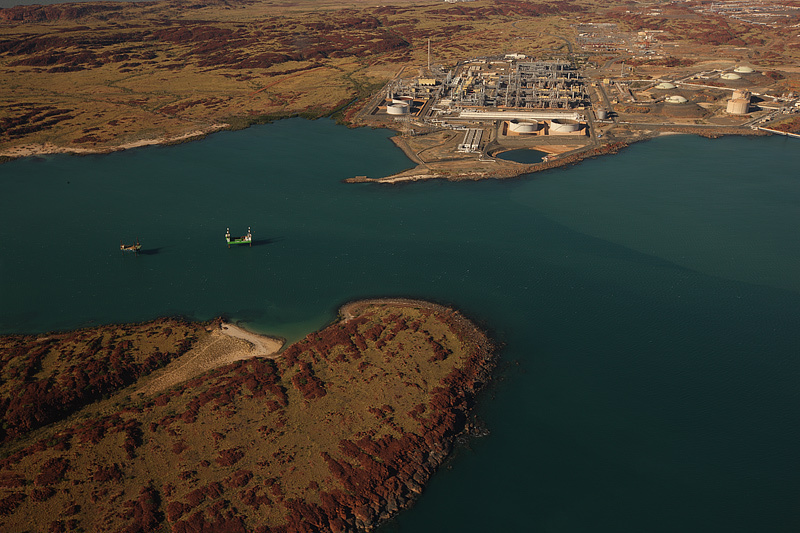 Once the facility inspection was complete we headed back up to Karratha to experience the highlight of the day. 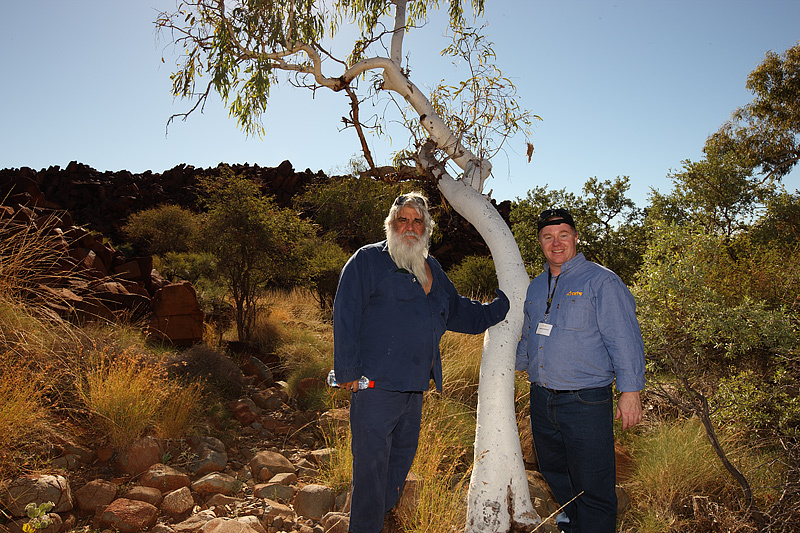 We were going to be taken on a tour through Deep Gorge in Karratha to see some Indigenous paintings and the tour leaders were very senior Indigenous people in the area. We walked into the gorge and after our eyes were used to spotting the paintings we saw at least a hundred paintings, it was amazing. We were told the meaning to some of the paintings as well as shown grinding stones and other interesting artifacts. It was a trully rewarding experience to spend time with the guys and at the end of our visit the senior law man sang us two songs which they sang to the Kangaroo and Emu. After that it was back to the airport, and after a 30min wait we hopped onto the plane. I ended up getting home at 8pm and headed straight to bed. What an awesome day! This entry was posted in Australian Landscapes and tagged "aboriginal art", "aerial photography", australia, canon, Dampier, helicopter, Jamie Paterson, karratha, north west, outback, western australia. How’s that for a day out of the office! I’m jealous. Let me know if you need a bag attendant next time! Best day out of the office in ages. LOL. Definitely sounds like you enjoyed yourself! Aerial photography is certainly something I’d like to try sometime too. Only problem with using helicopters for aerial photography I guess is that if you don’t get the photo you were after, its an extremely expensive exercise. 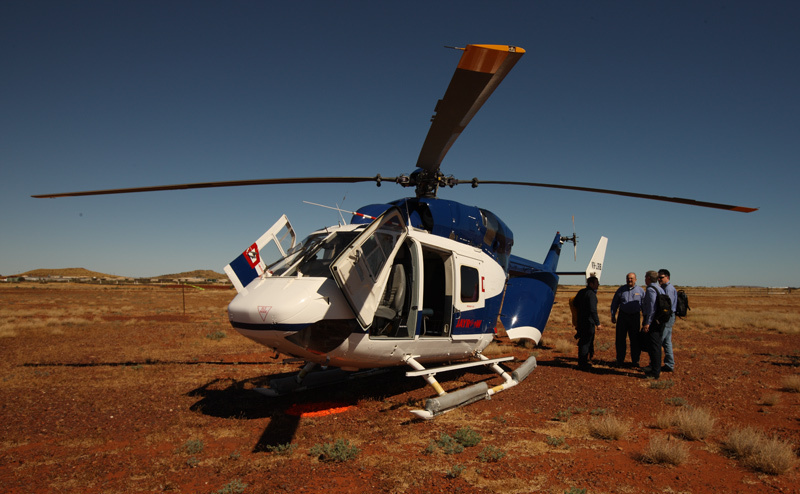 You lucky bugger, I loved working up in Karratha, chopper rides got a bit much after a while especially when it was 3 hours in the sweaty summer months. Indigenous experiences are always enjoyable as well…and you got paid for it! Good stuff Jamie, The chopper ride would’ve been, cool they are an awesome machine. Choppers make me puke…I have to chase Offroad Race cars in choppers and its like the worst Royal Show ride available…compounded by looking through a camera for 45 minutes at a time!! I hate the damn things!! Hi Charlene I agree with you. Helicopters are wicked. Its so cool when you’re coming in to land on a tiny helipad on an oil rig. The skill of the pilots is just awesome. Now if I can just work out how to make enough money to buy one. Thanks Christian but I kinda think you’re the one on a nicer trip. Wauv, must have been a great day at the office !!! I love helicopters as well, they’re just the most fun form of transport ever.